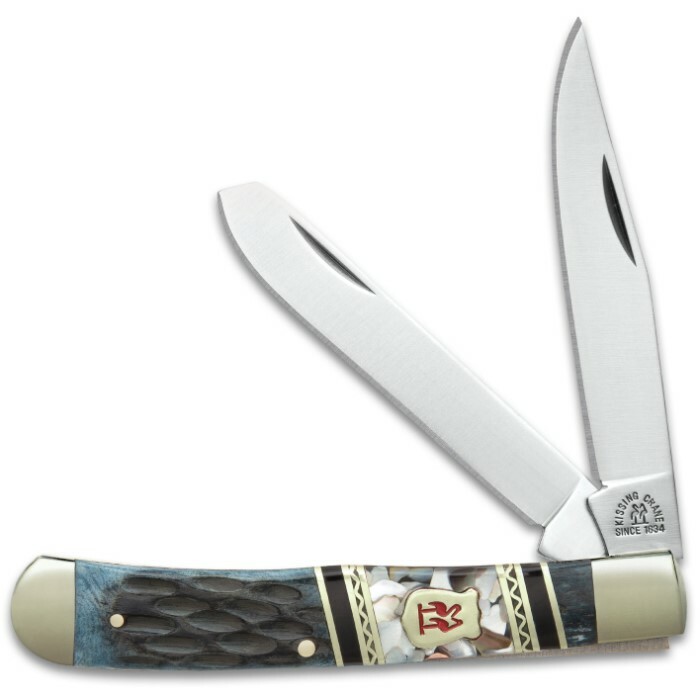 Kissing Crane Smoky Hollow Trapper Pocket Knife - Stainless Steel Blades, Genuine Bone And Pearl Handle Scales, Nickel Silver Bolsters | BUDK.com - Knives & Swords At The Lowest Prices! 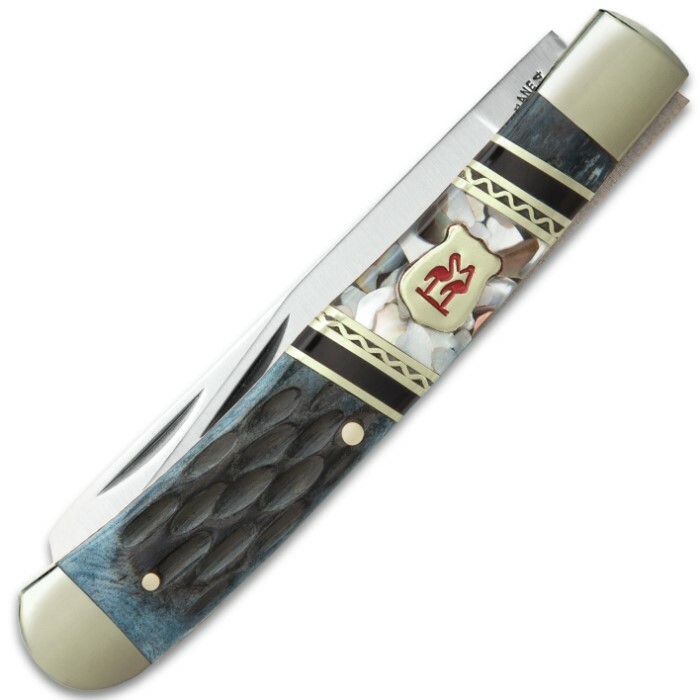 New to Kissing Crane’s collection of phenomenal pocket knives, the Smoky Hollow Trapper is a pocket knife that has beautiful shades of wispy gray and iridescent white, in a mosaic texture, giving it a subtle elegance. It continues the tradition of excellence with its genuine bone and pearl with resin and stainless steel accents and secured with brass pins. 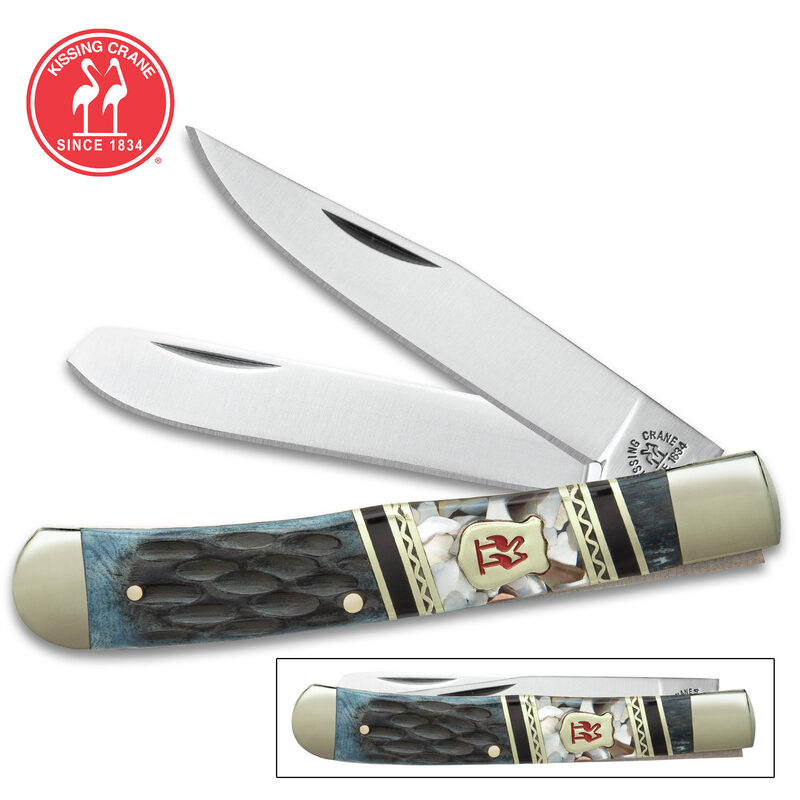 The blades are of rust-resistant stainless steel and the knife features nickel silver bolsters and brass liners. Kissing Crane has forged the world’s best pocket knives for more than 180 years, and the Smoky Hollow Trapper is no exception. You’re getting only the sharpest pocket knife on the market - both in look and feel!